Wonderful brand new apartment, newly renovated overlooking the sea, Mount Vesuvius and the Gulf of Naples in the city center, brand new, tastefully furnished, with marble floors and equipped with all the accessories and comfort. 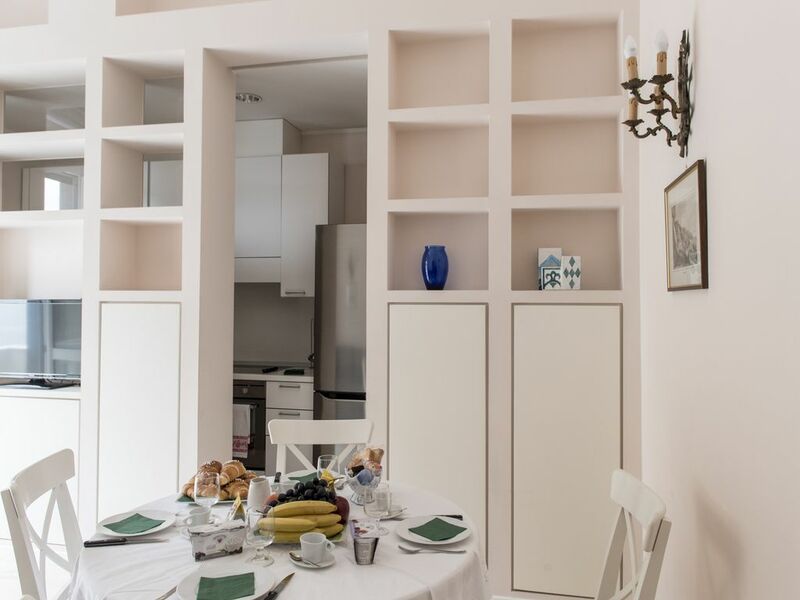 The wifi and 24 hour secure garage included in the price of the apartment Located in a strategic point, a few steps from the famous Piazza del Plebiscito, the Teatro San Carlo and all the restaurants and attractions that Naples can offer. Not far from the station, the airport and bus.